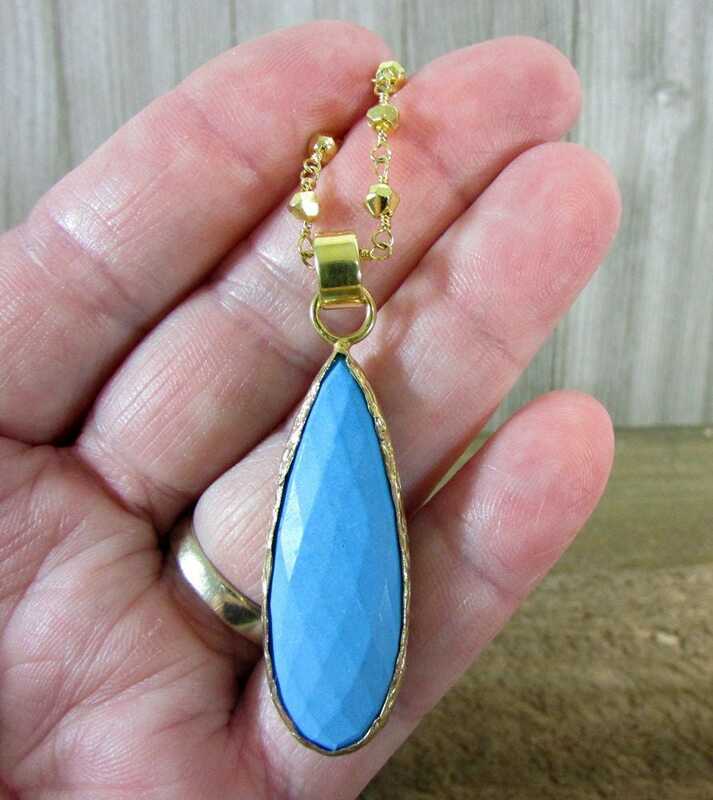 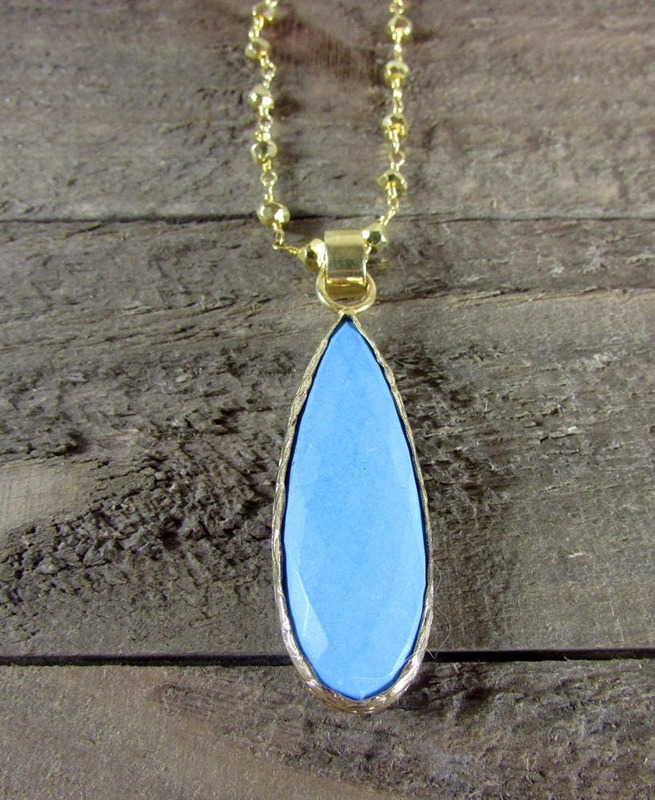 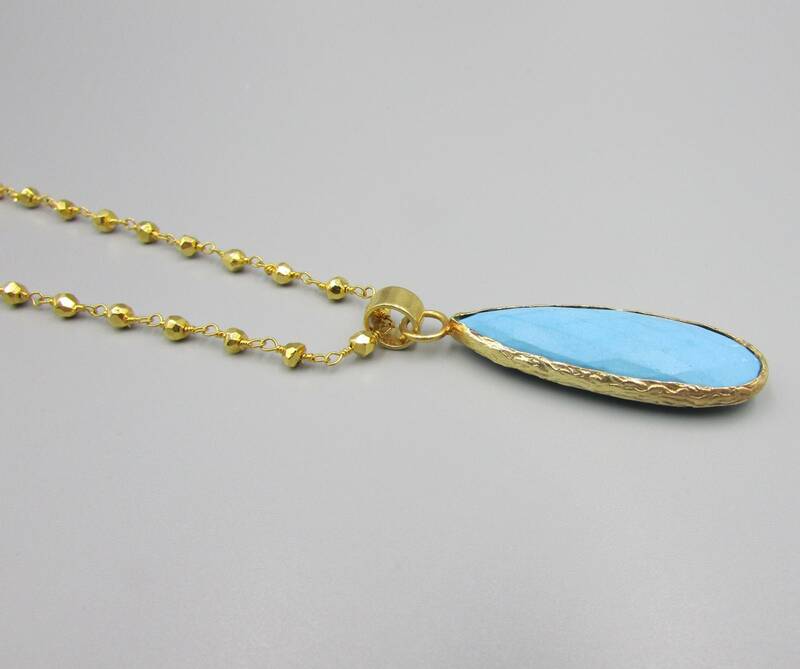 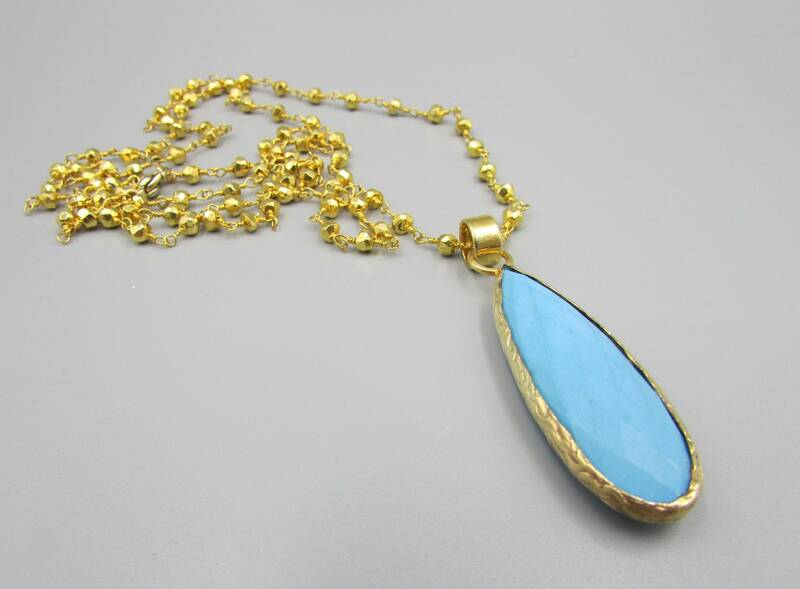 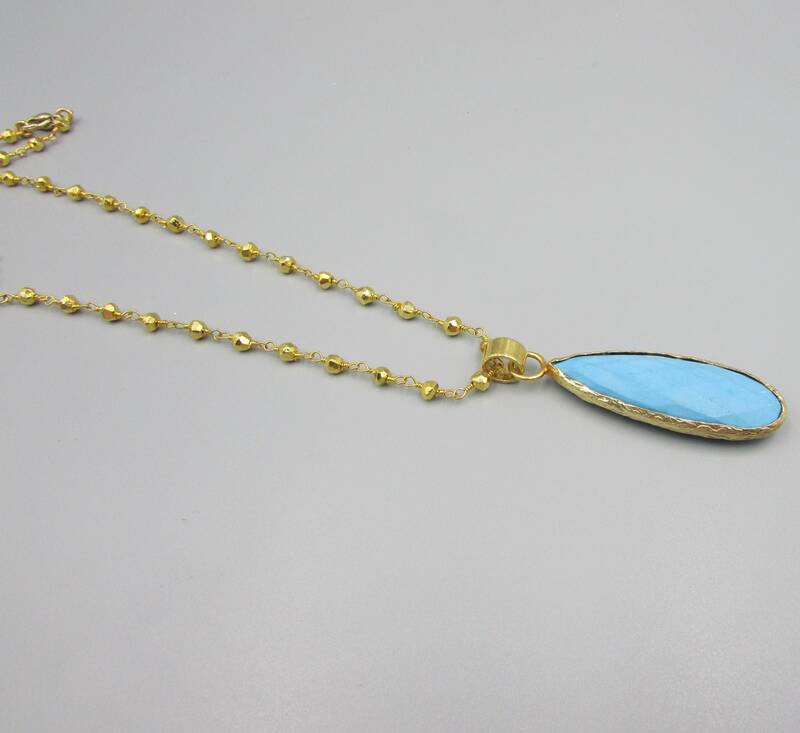 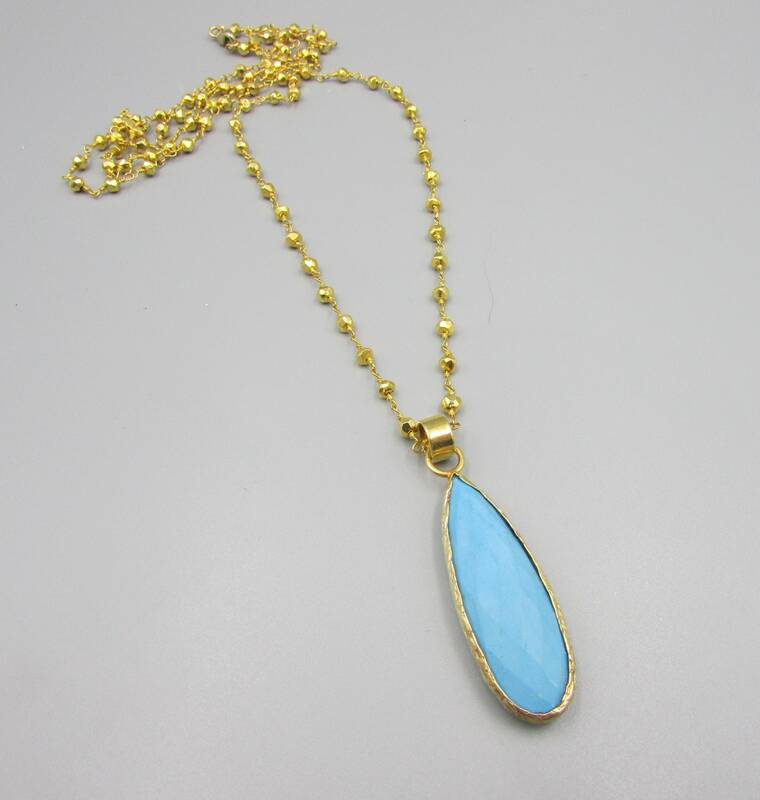 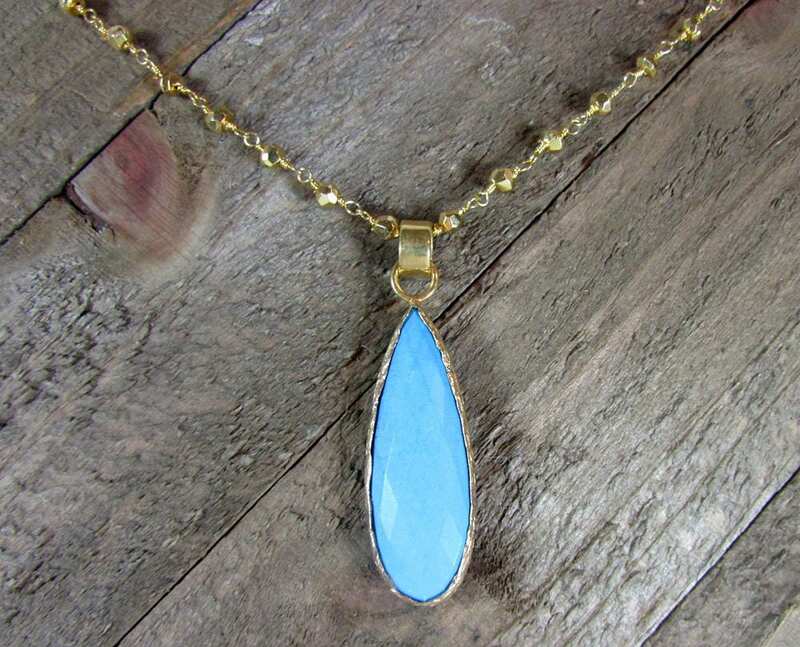 Stunning and classy this beautiful genuine turquoise pendant and gold pyrite rosary chain necklace is perfect for all occasions. 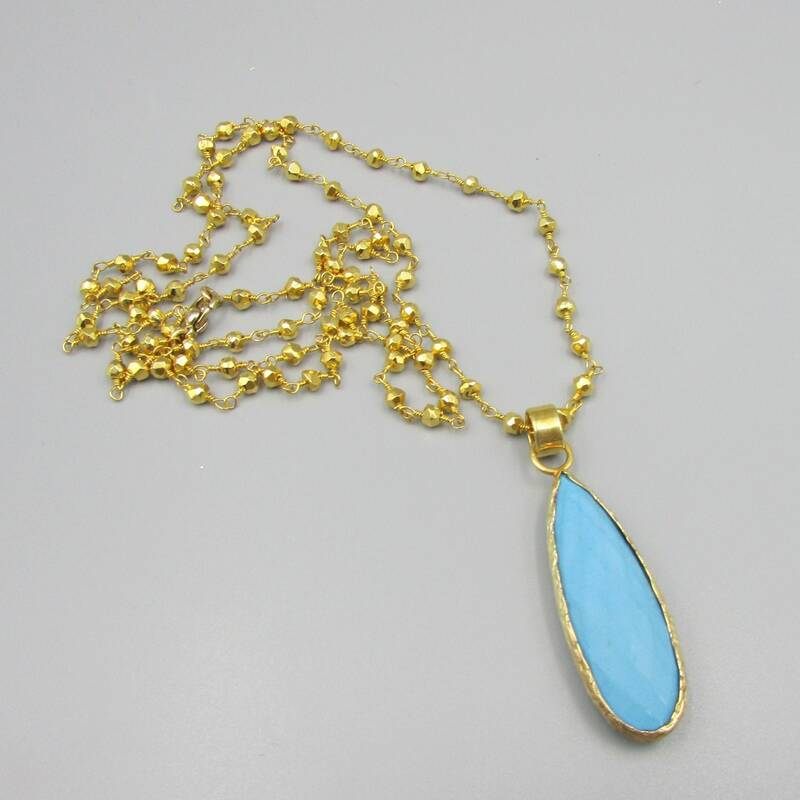 Encased in 24K gold fill the pendant is 2 inches long. 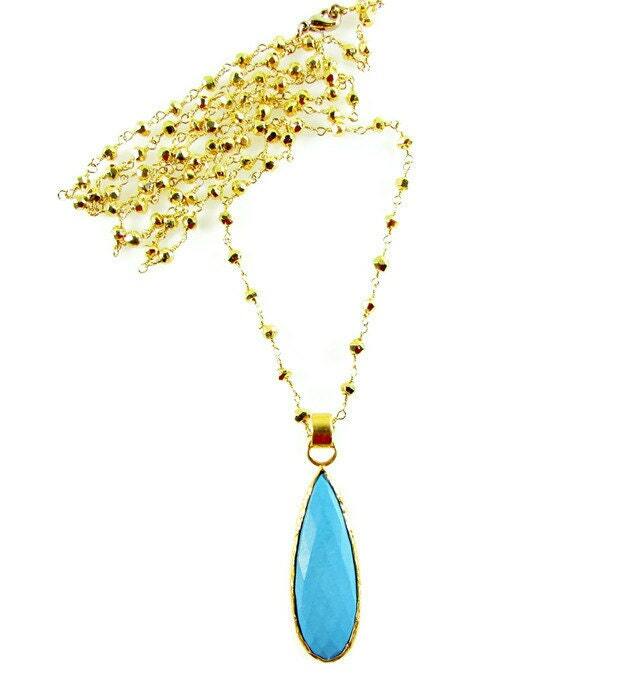 *Length of beaded chain is 30 inches.